HOUSTON, TEXAS (December 31, 2008) A pair of Olympians headline deep fields set for the eighth-annual Aramco Houston Half Marathon on January 18, 2009. Dathan Ritzenhein (Eugene, Ore.), ninth in the 2008 Olympic Marathon, will run the Aramco Houston Half Marathon for the first time and will do so as the race’s No. 2 seed. The 25-year-old Ritzenhein set several state and national records while running for Rockford High School in Michigan and was part of the sensational prep class of 2001, which also produced American mile record holder Alan Webb and 2008 USA Olympic Marathon Trials winner Ryan Hall. “Ritz” was second to Hall at the 2008 trials in 2:11:07 and was the first American across the line in Beijing in 2:11:59. Earlier in 2008, he won the USA Cross Country Championships. Ritzenhein will head a field of the country’s top runners vying for the 2009 USA Half Marathon Championship, which is being hosted in Houston for the fifth consecutive year. Returning to defend his title is top-seeded James Carney (Lafayette, Colo.) who took the 2008 crown in 1:02:21. Jason Lehmkuhle (Minneapolis), 11 seconds behind Carney in the ’08 race, also will return. That pair will be joined by 2004 Olympian and 2005 USA Half Marathon champ Dan Browne (Beaverton, Ore.), Andrew Carlson (Flagstaff, Ariz.), Peter Gilmore (San Mateo, Calif.), and Max King (Bend, Ore.), among many other elite Americans. The women’s field for the Aramco Houston Half Marathon, host of the women’s USA Half Marathon Championship for the third year in a row, will include 2008 Olympian Magdalena Lewy Boulet. The 35-year-old Lewy Boulet (Oakland, Calif.) finished second at the USA Olympic Trials Marathon in a PR of 2:30:19, but she was forced to drop out of the marathon in Beijing due to a knee injury. Lewy Boulet, a naturalized U.S. citizen from Poland, will be joined on the starting line in Houston by defending champion Kate O’Neill (Palo Alto, Calif.). O’Neill won the national half marathon title in 2008 in 1:11:57, after finishing second to Elva Dryer in Houston in 2007. Desiree Davila (Rochester Hills, Mich.), runner-up to O’Neill at the ’08 half championship, will return to Houston, along with four-time Olympian Colleen De Reuck (Boulder, Colo.), 2008 national 8K champion Sara Slattery (Mammoth Lakes, Calif.), and twins Tara and Kara Storage (Beavercreek, Ohio). More than $59,000 in prize money will be at stake in the two USA championship races, with $12,000 awaiting the winners of each. A record 18,000 runners have registered to run in the 2009 Chevron Houston Marathon and Aramco Houston Half Marathon, and an additional 8,000 hopefuls have signed up on the waiting list since the two races sold out on July 7, 2008. The Chevron Houston Marathon, a Running USA founding member, is the nation’s premier winter marathon, annually attracting participants from nearly all 50 U.S. states and more than 20 foreign countries. In 2008, more than 20,000 runners participated in four marathon weekend events (marathon, half marathon, 5K run and children’s run). The Houston Marathon has been ranked among the top five marathons in the nation by the Ultimate Guide to Marathons for fastest course, organization and crowd support. More than 5,000 volunteers organize the race, which is Houston’s largest single-day sporting event. LAKE CHARLES, LOUISIANA (December 31, 2008) Coupling a first-class, family-oriented sports experience with a sound business plan that encourages financial success, the Southern Indoor Football League recently announced its charter roster of franchises at O'Charley's Restaurant in Lake Charles, La. Louisiana Swashbucklers owner Thom Hager, who will also serve as SIFL President, released that thirteen ownership groups have submitted the proper paperwork and have agreed to the financial responsibilities. 5) Lake Charles , Louisiana . (Louisiana Swashbucklers, owned by Hager and playing in the Lake Charles Civic Center . Commitments for 2010 have been secured for Beaumont , Tex. ; Galveston , Tex , Lakeland , Fla , Pensacola , Fla , ; Tallahassee, Fla., Tampa , Fla , and Waco , Tex. with four more ownership groups showing strong interest..
"We’re still receiving calls from around our region as if a light bulb tuned on and ownership groups finally found the perfect business model for this great sport," Hager said. ``The size of the league will be finalized at our league meetings in Lake Charles December 1-2 at the premier Pinnacle property, L’Auberge du Lac. "While we wish all competing leagues good fortune and success, I believe this bold new endeavor is the result of my thirteen years in sports management." Hager’s Swashbucklers have been recognized as one of the sport’s premier teams, winning back-to-back Intense Football League championships, the latter in 2008 with a perfect 16-0 record. Off the field, the Swashbuckler staff garnered virtually every award given to league front office staffs. Now it’s time to take that business model from team to league levels. `I’ve seen too many fans lose their home teams due to poor business models and inexperienced management, Hager said. "A business is only as good as its people, coupled with proven systems and a strong product. "What good is a business model that fails to generate positive cash flow and forces teams to close their doors after one or two seasons? This league is designed to satisfy the team owners, players, and the fans," Hager concluded. HOUSTON, TEXAS (December 30, 2008) During the lead up to the 2008 Presidential election, candidate Ron Paul’s supporters were considered the most vocal and highly spirited around. The Western Michigan Broncos could have used the support of fans of that caliber in their 38-14 thrashing by the Rice Owls in the 2008 edition of the Texas Bowl. Rice quarterback Chase Clement threw three touchdown passes, ran for another and caught a TD pass from Jarett Dillard to lead the Owls to their first bowl win since 1949. Clement’s performance earned him the Most Valuable Player award and showed the talent that should make him a high round draft pick for the NFL. He threw for 307 yards, completing 33-of-44 passes, and ran for and additional 72 yards, leading the Owls to their first recorded double-digit wins since the 1949 season. The game was Western Michigan second straight bowl game, but just the fourth in the school's history. Unfortunately for WMU, all four of the Broncos' postseason appearances ended in defeat, including 2007 in the International Bowl, as WMU was beaten by Cincinnati by the score of 27-24. Bronco’s quarterback Tim Hiller completed 19-og 42 passes for 198 yards and two Brandon West led the way on the ground with 56 yards on 15 touches. Jamarko Simmons had 92 yards on six catches, while Schneider Julien and Kirk Elsworth recorded touchdown catches. Clement has praise for everyone around and stated he felt this season would inspire the younger players to achieve higher goals. “When you sit down and look back and see how everything has unfolded, it’s a special opportunity and just what we’ve been able to accomplish. It really sets this program in the right direction. Hopefully, those guys that are younger than us have seen what it takes to win and what it takes to be successful and hopefully they can get that going,” Clement was quoted in the post-game press conference. There was a bit of gold in the dark cloud that hovered over the Broncos the entire game. Before the contest, Western Michigan announced that Head Coach Bill Cubit agreed to a new five-year contract. HOUSTON, TEXAS (December 30, 2008) Rice’s Chase Clement (Alamo Heights/Alamo Heights, Texas) continued to dominate the field, throwing for two touchdowns to extend the Owls lead to 24-0 over the Western Michigan Broncos. Clement connected with Toren Dixon (Robinson/Robinson, Texas) on a six-yard pass with 6:53 left in the half to extend Rice’s lead to 17-0 with the conversion by Fangmeier. Clement again found the air to his liking by finding wide receiver James Casey on a 46-yard pass to take the score to 23-0. Fangmeier’s conversion was again good to make the score 24-0 to round out scoring for the half. Defensively, Rice held the Broncos to 90 total yards offensively on only six first downs. Western Michigan was 1 for 7 on third down conversions and was held to 8 minutes 58 seconds for possessions. Clemens completed 16 of 24 passes for 169 yards and rushed for 61 yards (250-yards total) on offense. HOUSTON, TEXAS (December 30, 2008) After 15 minutes of play in the 2008 Texas Bowl, Rice quarterback Chase Clement (Alamo Heights/Alamo Heights, Texas) showed the form that got Rice to their second owl bowl appearance in three years by giving the Owls a 10-0 lead over Western Michigan University. Clement scored with 5:21 left in the first quarter on a 26-yard keeper to give the Owls the lead. Clark Fangmeier’s (North Mesquite/Mesquite, Texas) conversion was good to take the score to 7-0. Fangmeier again found the uprights at the 3:02 mark, kicking a 30-yard field goal to extend Rice’s lead to 10-0 at the quarter. Clement rushed 50 yards on 4 carries and went 7 for 9 and 69 yards passing. Western Michigan sputtered on offence, managing a mire 50-yards total offense. SAN ANTONIO, TEXAS (December 29, 2008) NewTek Inc., manufacturer of industry-leading video and 3D animation products, today announced that SportsLink, a leading sports-marketing and management company, selected TriCaster™ portable live production system to produce and stream extended live coverage of the U.S. Army All-American Bowl Week events from Wednesday, December 31 through Sunday, January 4, 2009 on www.footballuniversity.org. On Sunday, January 4, students from the San Antonio School of Excellence will produce and live stream the first Football University Youth All-American Bowl, which features three All-Star games pitting the nation’s top seventh and eighth-grade players against one another. One of the first players selected for this inaugural game is Ray Lewis III, son of current Balitmore Ravens Linebacker Ray Lewis. These match-ups, along with pre-game and post-game commentary, will be produced and live streamed by students, using a NewTek TriCaster, to a worldwide audience at FBU TV: www.footballuniversity.org. With TriCaster, anyone can produce network-style live video and distribute the event simultaneously to web, video and projector. A single operator or small team can produce a live show while switching between as many as six cameras with two VCR’s, multi-channel effects and NewTek’s proprietary LiveSet™ virtual sets. In addition to being used by SportsLink to stream U.S. Army All-American Bowl and Youth All-American Bowl coverage, TriCaster has been used by broadcasters, sports organizations, corporate communications departments, government agencies, schools and others to provide a new level of extended programming and content to their audiences. 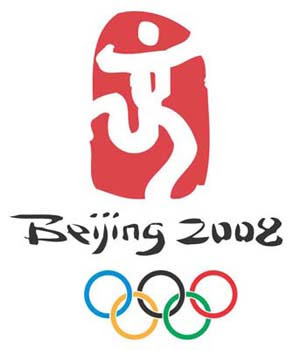 BEIJING, CHINA (December 28, 2008)- Four months after serving as host of the Summer Olympics in Beijing, China is mulling a bid to host the 2018 Winter Games in the northern city of Harbin, state media said on Thursday, quoting a government official. Harbin, capital of northeastern Heilongjiang province, has spent $440 million on venues and facilities to host 4,000 athletes for the World University Winter Games in February, and would use the event as a dry run, the province's governor, Li Zhanshu, told the China Daily. "If the hosting of the 2009 Winter Universiade can win applause from all the guests, it will enhance our confidence to bid for the Winter Olympic Games," Li said. 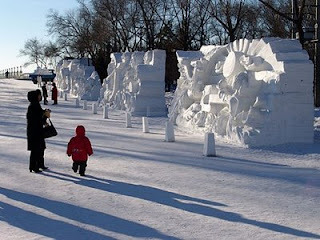 Harbin, famous for its annual ice sculpture festival, had failed in its bid to host the 2010 Winter Games, awarded to Vancouver. "If we fail again for the 2018 Games, we are determined to win the 2022 Winter Games. It's our dream to host China's first Winter Olympics," Li said, adding that final sign-off for the bid would come from China's sports ministry. The bustling city of some five million people would face competition from Munich, which declared itself a candidate last December, and from France, where three towns -- Annecy, Nice and Grenoble -- have indicated interest. August's Beijing Games were largely hailed as a spectacular success for China, despite myriad concerns ranging from air pollution to human-rights abuses. SAN ANTONIO, TEXAS (December 27, 2008) The U.S. Army All-American Bowl Selection Committee has narrowed down their nominees to six finalists for the prestigious 2009 U.S. Army Player of the Year Award: JaMarkus McFarland (Lufkin High School, Lufkin, Texas); Bryce Brown (East High School, Wichita, KS); Randall Carroll (Cathedral High School, Los Angeles, CA); Rueben Randle (Bastrop High School, Bastrop, LA); Xavier Nixon (Jack Britt High School, Fayetteville, NC); and Dre Kirkpatrick (Gadsen City High School, Gadsen, AL). The U.S. Army Player of the Year Award is given to the nation’s most outstanding senior in high school football participating in the U.S. Army All-American Bowl. The U.S. Army Player of the Year will be crowned during the U.S. Army Awards Dinner on Friday, January 2, 2009 in San Antonio. The winner will be presented with the Ken Hall Trophy, modeled after Ken “Sugar Land Express” Hall, high school football’s all-time leading rusher. JaMarkus McFarland, according to many experts, is considered to be one of the nation’s best defensive linemen. He seems to have it all: size, quickness, and strength. He is very polished and talented and can beat players in various ways, as he has the versatility to play all over the defensive interior. McFarland has not yet committed, but he has narrowed down his choices to Oklahoma, Texas, Baylor, Florida, LSU, Nebraska, Notre Dame, Oklahoma State, Tennessee, and Texas A&M. According to recruiters nationwide, Bryce Brown is the nation’s No. 1-ranked running back. He has the size, the speed and the ability to be an immediate impact running back at the next level. Along with his older brother Arthur, a 2008 All-American, they have been terrorizing opponents in Wichita for years. He is committed to Miami. Wide receiver Randall Carroll is considered one of the fastest players in the nation with a sub 10.5-second 100-meter time. He is an extremely hard worker in practice and recruiters nationwide continue to be impressed by his relentless determination to get better. Carroll is committed to USC. Rated the nation’s No. 1-ranked wide receiver, Rueben Randle is one of the most athletic players and his combination of size, speed and hands is awfully tough to beat. Randall has also spent time at quarterback this season, completing 76% of his passes. Randle has not committed but has narrowed down his choices to Alabama, Florida State, Georgia, LSU, Miami, Michigan, Notre Dame, Oklahoma, Oklahoma State, Ole Miss. Xavier Nixon, considered by recruiters nationwide as the top offensive linemen in the country, has quick feet and excellent technique. Nixon has narrowed down his college choices to Clemson, Florida, LSU, Miami, North Carolina, N.C. State, Notre Dame, South Carolina, and West Virginia. Dre Kirkpatrick is rated by many as the top defensive back in the nation. He is a giant that will not be pushed around or out-jumped by the tall receivers in college. He will be an immediate impact at the next level. Kirkpatrick has not committed but has narrowed down his college choices to Alabama, Auburn, Clemson, Florida, Florida State, Georgia, LSU, Miami, Michigan, Tennessee, Texas, and USC. The selection process began this fall as players were evaluated by the U.S. Army All-American Bowl Selection Committee and by coaches from around the country. Past U.S. Army Player of the Year winners include: Kevin Jones (Detroit Lions) 2001; Lorenzo Booker (Miami Dolphins) 2002; Chris Leak (Florida Gators) 2003; Adrian Peterson (Minnesota Vikings) 2004; Ryan Perrilloux (LSU) 2005; Mitch Mustain (USC) 2006; Jimmy Clausen (Notre Dame) 2007, and Terrelle Pryor (Ohio State) 2008. The U.S. Army All-American Bowl is the nation’s premier high school football game, serving as the preeminent launching pad for America’s future college and NFL stars. Reggie Bush, Vince Young, Adrian Peterson and Tim Tebow all made their national debuts as U.S. Army All-Americans. Last year the U.S. Army All-American Bowl set its own attendance record, as 36,534 fans attended the game at the Alamodome along with being the most watched sporting event on television over the weekend, besides the NFL Playoffs. NBC drew a record audience for the critically lauded Ceremony. In the nearly 50 years of televised Olympic Games, NBC’s coverage of the Opening Ceremony in Beijing was the MOST VIEWED EVER for a non-U.S. summer Olympic Games with nearly 70 million total viewers. Acclaimed Chinese filmmaker Zhang Yimou, whom Time Magazine recently ranked No. 5 in their Person of the Year issue, directed the Ceremony at the “Bird’s Nest,” which featured a cast of 15,000. The show celebrated Chinese culture and its long, rich history, through spectacular use of fireworks, lights, colors, music, synchronized performances and climaxing with a dramatic lighting of the Olympic Cauldron. The special will not include the Parade of Nations. “The Beijing Olympic Opening Ceremony: TV Event of the Year,” also takes a look back at the greatest moments of the Beijing Games, including the record-setting performance from Michael Phelps. It also will include a brief look forward to the Vancouver 2010 Olympic Winter Games. HOUSTON, TEXAS (Decemeber 26, 2008) FOX Sports Houston provides an in-depth look at the creation and impact of the Texas Bowl in MAKING OF THE TEXAS BOWL, a 30-minute special that premiered on Thursday, Dec. 18 at 7:00 PM CT. The show chronicles the creation of the game, which replaced the defunct Houston Bowl in 2006. Houston Texans owner Bob McNair, Houston Texans President Jamey Rootes, and current Chairman of the Texas Bowl Board of Directors John Huff discuss the challenges and successes the bowl has experienced in the rapid process from dream to reality. The program also features the emphasis the Texas Bowl places on the importance of a positive experience for the participating schools and for the Houston community, and explains the team selection process. Bart Enis and Patti Smith also break down this year’s game featuring Rice and Western Michigan in a one-hour 2008 TEXAS BOWL PREVIEW special on Friday, Dec. 26 at 11:00 PM CT. They’ll highlight Rice’s high-powered offense led by quarterback Chase Clement and All-American receiver Jarett Dillard, and recap one of the most productive seasons in school history. in 2007. The 2008 game pre-sold over 50,000 tickets before the competing teams were announced. Each year the Texas Bowl makes an economic impact of $25 million into the Houston economy. Thursday, December 18, 7:00 p.m.
Wednesday, December 24, 7:30 p.m.
Thursday, December 25, 7:00 p.m.
Friday, December 26, 11:00 p.m.
Sunday December 28, 6:00 p.m.
Monday, December 29, 11:00 p.m.
Tuesday, December 30, 11:00 a.m.
HOUSTON, TEXAS (December 25, 2008) It was announced recently that Lleyton Hewitt will be competing in the River Oaks US Men's Clay Court Championships in 2009. 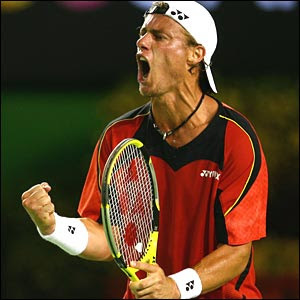 Lleyton is a former number one world ranked player and the youngest player in ATP history to achieve the top ranking spot. He holds 26 career ATP singles titles including both a Wimbledon and US Open Championship. Lleyton has been sidelined the second half of 2008 with an injury and will resume a full competitive schedule beginning in January. He is widely regarded as one of the most focused and intense players in the world. The River Oaks US Men's Clay Court Championships is schedule for April 6-12, 2009 at River Oaks Country Club in Houston. COLORADO SPRINGS, COLORADO (December 24, 2008) As part of its commitment to nutrition and a healthy active lifestyle, premium bread maker Oroweat is proud to present donations to the Jr. Olympic Skills program and U.S. Paralympics – both programs of the U.S. Olympic Committee (USOC). During a check presentation ceremony at the USOC headquarters in Colorado Springs, Oroweat presented representatives from both groups with a check for $95,000 each. The Jr. Olympic Skills Competition focuses on four sports – basketball, soccer, tennis and track & field. Boys and girls ages 8-13 compete in qualifying events which culminates with the National Finals. In July, the 2009 Jr. Olympic Skills National Finals will be held at the U.S. Olympic Training Center in Chula Vista, Calif. This free program was established to provide youth across the United States with a multi-sport competition designed to encourage participation in Olympic sport, emphasize fair and friendly play and promote an active lifestyle.Since its formation in 2001, U.S. Paralympics has been inspiring Americans to achieve their dreams. Through education, sports programs and partnerships with community organizations, medical facilities and government agencies, U.S. Paralympics is making a difference in the lives of thousands of physically disabled people every day. Oroweat products are produced by Bimbo Bakeries USA (BBU). BBU operates 13 bakeries and distributes leading brands such as Oroweat®, Mrs. Baird’s® ,Tia Rosa®, Francisco, Bimbo® and Marinela®. BBU operates approximately 3,000 sales routes, is headquartered in Fort Worth and is the U.S. Division of Mexico’s Grupo Bimbo, one of the world’s largest baking companies with over 97,000 associates and operations in 18 countries throughout the Americas, Asia and Europe. Its stock has been trading on the Mexican Stock Exchange since 1980 under the ticker BIMBO. NEW YORK, NEW YORK (December, 23 2008) It was announced today, in New York City, that the two-time MLS Cup Champion Houston Dynamo will host Atlante FC on Tuesday, February 24, 2009 to begin the CONCACAF Champions League™ quarterfinals. Atlante will host the return match with Houston a week later on Tuesday, March 3. The winners will advance to the semifinals, with the first-leg scheduled for March 17-19 and the second-leg set for April 7-9. The two-game finals will be staged April 21-23 and April 28-30. IRVING, TEXAS (December 22, 2008) Conference USA named Chelsie Wiley of UCF and Southern Miss Candace Rucker its women's basketball Player and Rookie of the Week, respectively, for games played from Dec. 15-21. Wiley scored a career-best 31 points against Ole Miss with the assistance of eight 3-pointers, a UCF and C-USA single game record. She also averaged 19.3 points, 4.3 rebounds, 2.5 steals per game and shot 70 percent (14-of-20) from the 3-point line and 45.5 percent (25-of-55) from the floor. Rucker averaged 14.3 points, 2.7 rebounds, 2.0 assists and 2.3 steals per game. She scored a season-high 24 points against No. 22/23 Oklahoma State Friday, including 10-consecutive points over a two-minute span to get the Lady Eagles within two points. 5-7, So., G, Riviera Beach, Fla.
Wiley averaged 19.3 points per game, including 10-plus points in each of UCF's four games. She also contributed 4.3 rebounds, 2.5 steals and shot 70 percent (14-of-20) from the 3-point line and 45.5 percent (25-of-55) from the floor. Her week started by hitting the game-winning three against Jacksonville in a 72-69 victory on Monday. Wiley established a career-high 20 points against Miami on Thursday. She topped that Saturday against Ole Miss, knocking down 8-of-9 3-pointers en route to a 31-point night. The eight 3's tied both a C-USA and UCF record for most treys in a single game. Her 8-for-9 percentage (.889) also broke the previous school record and set the conference record for best 3-point percentage. For the week, Wiley went 14-of-20 from long range and now sits in second place in C-USA in that category. Rucker averaged 14.3 points, 2.7 rebounds, 2.0 assists and 2.3 steals per game. She scored a season-high 24 points against No. 22/23 Oklahoma State Friday, including 10-consecutive points over a two-minute span to get the Lady Eagles within two points. The 24-point performance was the first 20-point game for any Southern Miss player this season. She also had five steals against the Cowgirls and finished the week with seven. Rucker scored 10 points and had four assists against Cal State Northridge Saturday. This is Rucker's second-straight Rookie of the Week honor. Senior G LaCoya Terry extended her double-digit scoring streak to 17 games. She recorded her first double-double of the season and second of her career with 18 points and 11 rebounds against Mercer. Terry continues to lead C-USA in scoring with 18.5 ppg. Freshman C Jean Best earned all-tournament team honors at the Bahamas Sunsplash Shootout, helping East Carolina to the championship title. In two tournament games, she averaged 9.5 ppg and 8.0 rpg, while shooting .857 (12-for-14) from the floor. Best currently leads Conference USA in field goal percentage with a mark of .627 (37-for-59). Houston sophomore G/F Courtney Taylor posted two double-doubles last week at the 2008 St. John's-Chartwells Holiday Classic. She scored 16 points and grabbed 12 boards against Boston College, followed by recording a career-high 25 points and snagging 16 rebounds vs. Buffalo. Taylor was named to the all-tournament team. Junior F Pauline Love recorded back-to-back double-doubles at the Desert Draw with 13 points and 13 rebounds against No. 22/23 Oklahoma State and then scored a season-high 28 points and had 10 rebounds against Cal State Northridge. Against CSUN, she sealed the game when she hit four-straight free throws in the last 12 seconds of action. Teammate and junior C Stephanie Helgeson added a double-double with 17 points and 11 rebounds off the bench against CSUN. Junior G/F Megan Valicevic was named to the DoubleTree Classic All-Tournament Team after leading Tulane to its seventh straight tournament crown. She connected on 8-of-11 from 3-point range (.727), and .542 percent from the field for the week. Valicevic is the only player in C-USA among the top 15 leaders in field goal, free throw and 3-pt field goal percentages. Teammate and freshman F Brett Benzio was named tournament MVP after shooting .650 (13-of-20) in two games and averaging 9.7 ppg and 8.3 rpg. Freshman C Christine Elliott averaged a team-high 12.3 ppg and 7.0 rpg, hitting more than 58 percent of her shots from the floor to help lead SMU to a 2-1 record last week. Elliott either tied or set a career high in scoring in each of the three games. Junior F Brittany Gilliam averaged 11.3 ppg and 6.7 rpg. She also recorded her second double-double of the season with 15 points and 10 rebounds in SMU's victory over Virginia Tech Sunday. UTEP junior point guard Jareica Hughes has been named to the list of 30 preseason candidates for the Women's Wooden Award All-America Team and Player of the Year, the most prestigious individual honor in the sport. East Carolina senior G Jasmine Young moved into a two-way tied for second on Conference USA's all-time leader board for assists. She currently has dished out 67 assists in 11 games. For her career, she owns 623, tying K.B. Sharp (1999-2003). Following closely is Tulane's senior G Ashley Langford who currently has 56 assists in 11 games and 594 career assists. Rk. Athlete, School (Years) Gms Asst. Tulane has won seven in a row, averaging 76.9 ppg (after opening 1-3 with an average of 56.0 ppg). The Green Wave won its three games this week by an average of 32 points, with the closest margin of victory being 22 points against Providence. Tulane's 108-66 win at Nicholls State featured school records in 3-point field goals made (14) and field goals attempted (45), while ranking fourth in school history in points scored. The 14 made treys ties for third most in league history and the 45 attempts ranks second most for a single game. ECU won the 2008 Bahamas Splash Shootout title with a pair of wins over Mercer and Florida Atlantic. A pair of Conference USA head coaches picked up milestone victories earlier this season. Tulane's Lisa Stockton recorded her 350th career win by defeating Indiana State, 66-55, on Dec. 6 in the Big Easy Classic in New Orleans. Houston's Joe Curl recorded his 300th all-time win with a 20-point victory over Texas Southern, 64-44, in Houston on Dec. 5. Both Houston and Tulane remain flawless when playing at home. The Cougars are 5-0, while the Green Wave is 5-0. Overall, C-USA teams sport a .694 winning percentage (50-22) when playing on their home courts. Six teams only have two or fewer home losses. UTEP's 57-point victory over Savannah State on Nov. 22, 103-46, is the 15th-largest lopsided victory in C-USA history. The 103 points also ranks as the seventh-most points scored in a single NCAA women's basketball game this season. East Carolina's 61-28 win over Presbyterian on Nov. 21 was the third-fewest points allowed in program and C-USA history. PITTSBURGH, PENNSYLVANIA (December 21, 2008) Despite a game-high matching 16 points by freshman Lucas Kuipers and a career-high 12-point effort by Suleiman Braimoh, Rice could not get by the hot, second-half shooting of Duquesne, dropping an 80-64 decision to the Dukes Saturday afternoon. Led by Aaron Jackson?s 6-for-8 shooting and 16-point day, Duquesne connected on 72 percent of their second-half shots to help snap a two-game losing streak and improve to 6-4. Rice is now 4-6 heading into Monday night's match-up with fourth-ranked Oklahoma in Tudor Fieldhouse. Tip-off for Monday's game is 7 p.m.
Rice trailed 40-34 at intermission Saturday and managed just one field goal in the first seven minutes of the second period. At the same time, Duquesne started the half with a 10-4 run. Rice senior guard Rodney Foster kept the Owls close with a trio of three-pointers midway through the second period. But Duquesne big man David Theis came up with a pair of defensive boards and at the other end scored inside then stepped back for a three-pointer the next time down the floor to move the Dukes' lead back to double figures. Damian Saunders capped a 7-0 Duquesne run, scoring on a fast break dunk and the Dukes' lead was 70-54 with 4:27 to play. Braimoh's 12-point effort included a 6-for-7 performance at the free throw line, grabbed four rebounds and also drew a pair of charges. Following his first career double-double in Wednesday?s win over Harvard, Kuipers was 7-for-12 from the field and also had four rebounds. Cory Pflieger added 11 points and had a team-high five rebounds for Rice. Saunders fell one rebound shy of a double-double for Duquesne, scoring 13 points and pulling down nine rebounds. He also had three assists, a block and a steal. In addition to his 16 points, Jackson had eight assists and seven rebounds. FAYETTEVILLE, ARKANSAS (December 20, 2008) Sophomore guard Eddie Williams tied a career-high with 25 points as Stephen F. Austin notched a resounding 93-54 victory over Austin Peay Friday night in the Arkansas Jim Thorpe Classic. The victory is SFA’s sixth straight and moves the Lumberjacks to 7-2 on the season. The Lumberjacks went to the break with a 10-point lead but really poured it on in the second half, knocking down 66.7 percent from the field, a season-best for second-period shooting percentage, and outscoring the Governors, 52-23, in the second half. Meanwhile, Austin Peay (5-4) was held to 28 percent shooting after halftime and finished the game with a season-low 37.5-percent effort. Williams was joined in double digits by senior forward Josh Alexander’s 16 points, 13points from senior center Matt Kingsley and 11 first-half points from junior Walt Harris. Kingsley also led all players with eight rebounds, helping the Lumberjacks to a 33-31 advantage on the boards. SFA opened the second half by hitting its first six field goals and led, 52-41, with 15:25 to play. Kingsley then alternated layups with a pair of fallaway jumpers by Williams on four straight possessions for an 8-0 run that gave SFA what was then its largest lead of the night at 18 points, 58-42, with 12:19 remaining. The run was part of a seven-minute field goal drought for Austin Peay. SFA delivered a big blow at the 6:56 mark, when the Lumberjacks extended their possession twice with offensive rebounds by Shaw and Kingsley, then Alexander knocked down a 3-pointer from the corner with the shot clock winding down. The play gave SFA a 69-46 lead, and the ‘Jacks never looked back. SFA steadily extended its margin down the stretch, holding Austin Peay to just one field goal in the final five minutes of play. Junior Girod Adams started at point guard for the second straight game and scored nine points on 3-of-4 shooting. Eric Bell contributed four assists in 10 first-half minutes but spent the second period resting on the bench. Senior Center Benson Akpan finished with eight points and a season-high three blocked shots. Williams and Adams ripped off three steals each, as SFA forced 17 Austin Peay turnovers, while giving up just five of its own. For the game, the Lumberjacks outscored Austin Peay, 27-4, in points off turnovers. In the first half, SFA used a 9-0 run that started at the 8:22 mark to build an 11-point lead, 29-18, with 6:30 left. The run featured fast-break layups by Williams and Alexander wrapped around a 3-pointer by Adams. The Lumberjacks stretched their advantage to 14 a minute later when Williams knocked down an open 3-pointer to make it a 34-20 game. The Governors then took advantage of the first two SFA turnovers of the game to score on three straight possessions and cut the lead in half, drawing to within seven points at 36-29 with 1:41 to play. But Alexander answered with a 3-pointer to stretch the lead back to double figures. After a blocked shot by Jereal Scott on the next Austin Peay possessions, Williams raced to the bucket for another fast-break layup off a lead pass from Bell to give the ‘Jacks a 12-point lead. Drake Reed answered with a bucket to set the halftime score at 41-31. Reed finished with a team-best 16 points, but no other Governor reached double digits. SFA got a boost from Harris when he came off the bench early in the first period. He scored nine straight points to take the Lumberjacks from a 7-5 deficit to a 14-11 advantage with 11:14 remaining. Harris finished the first half with 11 points on 4-of-4 shooting and two 3-pointers but did not take the floor in the second half. The Lumberjacks got out to a slow shooting start and didn’t connect on a field goal attempt until Kingsley hit a long jumper at the 15:23 mark, but SFA finished the half hot, hitting 46.9 percent from the field. The Governors held a 22-14 edge on the boards in the opening period, but the Lumberjacks forced Austin Peay into 10 first-half turnovers and outscored the Governors, 14-2, in points off turnovers. SFA will continue play in the Jim Thorpe Classic by taking on host team Arkansas Saturday at 7:05 p.m. The Razorbacks are 7-1 and riding a five-game win streak after defeating Austin Peay, 89-80, Wednesday night. HOUSTON, TEXAS (December 19, 2008) Rice will look to extend its current streak while Duquesne will be vying to stop one as the two teams meet Saturday at the Palumbo Center in Pittsburgh, Pa.
Rice has won back-to-back games for the first time since the 2006-07 season to improve its record to 4-5. Duquesne, 5-4, has lost consecutive games at home and four of five since a 4-0 start. Tip-off for Saturday’s game is 12 p.m. Central Time and the game can be heard on ESPN 97.5 The Ticket. The Owls’ current winning streak began with the team reaching the century mark for just the 15th time in program history. Rice defeated Texas State 100-94 two weeks ago and after an 11-day break for finals, the Owls returned to the hardwood and defeated Harvard 67-63 on Wednesday. In Wednesday’s win, Rice came back from an 11-point, second-half deficit. Rodney Foster sparked a 14-1 run with a three-pointer and gave the Owls the lead for good with a trey with 40 seconds to play. He went on to make four free throws to seal the victory. For the year, Foster is averaging 11 points per game and his .929 free throw percentage leads Conference USA. He is 26-of-28 at the free throw line this season. Cory Pflieger’s 12.7 scoring average leads the team. Pflieger missed the final minutes of the Harvard game with cramps, managing seven points and seven rebounds. Lucas Kuipers has started the last three games for the Owls and is coming off a 14-point, 10-rebound effort against Harvard, the freshman’s first career double-double. Duquesne senior guard Aaron Jackson is averaging 16.9 points per game to lead the Dukes. He is also shooting 57 percent from the field and is second on the squad with a 5.7 rebounding average. He also leads the team with 53 assists and 23 steals. Sophomore forward Damian Saunders is averaging 15.6 points and 7.2 rebounds. He has made 58.9 percent of his shots. Behind Jackson and Saunders’ numbers, Duquesne is shooting 47 percent from the field. Duquesne owns a 4-2 lead in its series with Rice, including an 86-59 win over the Owls last season in Katy’s Leonard E. Merrell Center. Rice is 0-2 against Duquesne on the road in Pittsburgh. SAN MARCOS, TEXAS (December 18, 2008)Texas State senior wide receiver Cameron Luke was named a Third-Team All-American selection by the Associated Press after his record-setting senior season in 2008 when he ranked 12th nationally with 73 receptions, fifth nationally with 1,268 receiving yards and fourth nationally with 17 touchdown catches. Luke broke his own school records for most receptions and most receiving yards in a single season. He also tied former Bobcat standout running back Claude Mathis for the most touchdowns scored in a season. A two-time All-Southland Conference First-Team selection, Luke also broke Southland Conference records for most touchdown receptions in a career and is the only Southland Conference receiver to ever record 10 touchdown receptions in back-to-back seasons. He caught 12 touchdown passes in 2007. He led the Southland Conference in receptions and receiving yards in 2008. Luke ended his collegiate career with 142 catches for 2,431 yards and 32 touchdowns at Texas State. This marks the second straight season the Associated Press has chosen a Bobcat as a FCS All-American. Last year, Chris MacDonald was chosen a First-Team All-American punter. Luke is the first Texas State wide receiver to earn All-America honors since 1987 when Eric Tennessee earned NCAA I-AA All-America Third Team honors. Luke was one of seven Southland Conference players named to the Associated Press All-America Teams. Central Arkansas defensive lineman Larry Hart and Nicholls State defensive back Lardarius Webb were each named on the First-Team Defense, while McNeese State running back Toddrick Pendland was a Second-Team selection. Offensive lineman Eman Naghavi of McNeese State, defensive back Tommy Connors of Southeastern Louisiana and Stephen F. Austin defensive end Tim Knicky joined Luke on the Third Team. WACO, TEXAS (December 17, 2008) Postseason honors continued to roll in for two Baylor football players Wednesday as quarterback Robert Griffin and offensive tackle Jason Smith added to their already lengthy lists of accolades. Griffin was named first-team All-Freshman by Rivals.com and second-team All-Freshman by Phil Steele Magazine. Smith was named third-team All-America by the Associated Press. Griffin is the third consecutive Big 12 quarterback to earn first-team All-Freshman honors from Rivals.com, following Texas’ Colt McCoy (2006) and Oklahoma’s Sam Bradford (2007). Boise State’s Kellen Moore was the first-team quarterback on Phil Steele’s All-Freshman squads. Smith, a unanimous first-team All-Big 12 Conference selection, has earned All-America honors from four outlets. He was a first-team selection by the Football Writers Association of America and Phil Steele Magazine, and a third-team selection by Rivals.com. CHARLOTTE, NORTH CAROLINA (December 16, 2008) Baylor’s Robert Griffin was named to the 2008 Sporting News All-Freshman Team, the publication announced Tuesday. Griffin is Baylor’s first Freshman All-America honoree since Joe Pawelek was so tabbed by the Football Writers Association of America in 2006; Griffin is the first Baylor player so honored by Sporting News. A product of Copperas Cove [Texas] High School, Griffin tallied 2,934 yards of total offense, eight yards shy of the school record. He posted a 142.00 passing efficiency rating, the third-best season in school history, connecting on 160-of-267 passes for 2,091 yards and 15 touchdowns with only three interceptions. Griffin, the nation’s youngest starting quarterback during the 2008 season, enjoyed one of the best passing seasons in Baylor history as he ranked in the program’s all-time top 10 in yards (sixth), completions (sixth), completion percentage (second), yards per attempt (ninth), touchdowns (tied-fourth) and touchdown-to-interception ratio (second). He also established a Baylor single-season record with 28 touchdowns produced. However, Griffin was more than just a passer, finishing the season with 843 yards rushing on 173 carries. He tied Baylor’s single-season record with 13 rushing touchdowns and produced four 100-yard games, twice as many as any other Baylor quarterback has ever produced in a career. His yardage total was the 13th-best season in Baylor history as he established Baylor season quarterback and freshman records for rushing yards and rushing touchdowns. Griffin ranks sixth in the Big 12 in rushing and fifth in rushing touchdowns. Griffin was one of four Big 12 Conference student-athletes on the Sporting News All-Freshman Team, joining Missouri offensive tackle Elvis Fisher, Oklahoma linebacker Travis Lewis and Texas safety Earl Thomas. Sporting News also named Griffin the 2008 Big 12 Freshman of the Year. He joins Pawelek as the only Bears to have been so honored. HOUSTON, TEXAS (December 15, 2008) After an 11-day break to focus on finals, Rice returns to the court Wednesday as the Owls play host to Harvard. Tip-off is slated for 7 p.m. in Tudor Fieldhouse. The game will be broadcast by ESPN 97.5 The Ticket. Rice last played on Dec. 6th, defeating Texas State 100-94. The victory marked just the 15th, 100-point game in Rice school history. The win also snapped a three-game Owl losing streak and was the team’s first victory in newly renovated Tudor Fieldhouse. Harvard has lost three of its last four games to fall to 4-4 on the year. The Crimson’s current two-game losing streak began with a 76-71, double-overtime home court loss to Northeastern last week. The Crimson began the year by winning three of its first four games. Junior guard Jeremy Lin has started all eight games this season for Harvard and is averaging a team-leading 19.3 points as well as 5.1 rebounds. Additionally, he leads the team with 33 assists and 26 steals. Freshman forward Keith Wright is the only other Harvard player to be averaging double figure scoring this season. Wright, already a two-time Ivy League Rookie of the Week, is averaging 10.3 points and 6.1 rebounds. Wright missed last Saturday’s game at George Washington due to an illness after starting the first seven games of the year for Harvard. For Rice, a shooting slump in late November is in the past for junior guard Cory Pflieger who has raised his season scoring average to 13.4 points per game after a couple 20+ scoring nights. Pflieger scored 21 points against UTSA then had a career-high, 28-point game against Texas State in the Owls’ last week of play. Backcourt mate Rodney Foster also had a 20-point night against Texas State. The senior is averaging 10.1 points per game and leads the team with 4.4 assist average. Pflieger and Foster helped lead Rice to one of the university’s best three-point shooting performances in program history during the Owls’ game against Texas State. Pflieger was 5-for-10 from three-point range while Foster was 5-for-7. As a team, Rice was 13-of-25 (52 percent) shooting three-pointers. The 13 treys tied for the third-most in school history. During the current home stand Rice is shooting 54 percent (20-of-37) from three-point range. Rice will look to improve its perimeter defense as the home stand has also seen the Owls’ previous two opponents combine to make 51 percent of their three-point attempts (26-of-51). Lin is 16-of-32 from behind the arc for Harvard and the Crimson is shooting 35 percent from three-point range. Both teams have been beat on the boards through the first eight games of their respective seasons. The Owls’ differential however is a mere -0.2 boards per game. Rice has played its last two games without leading rebounder Aleks Perka who suffered a hyper-extended knee prior to the UTSA game. Perka is averaging 6.3 rebounds per game and also contributing 7.8 points an outing. Harvard has been outrebounded by 2.7 boards per game. Following Wednesday’s game against Harvard, Rice travels to Pittsburg to take on Duquesne Saturday afternoon and returns home to take on nationally-ranked Oklahoma Dec. 22. SAN MARCOS. TEXAS (December 14, 2008) The Texas State men's basketball team returns to the friendly confines of Strahan Coliseum Monday night when the Bobcats play host to the University of New Orleans at 7:00 p.m.
Texas State enters the game with a 3-5 record after suffering an 81-73 loss at sixth-ranked Texas last Saturday. Texas State has a 2-0 record in home games this season after beating Huston-Tillotson 104-81 on Nov. 19 and Southwest Assemblies of God 110-65 on Dec. 3. New Orleans also has a 3-5 record after beating Houston Baptist 77-73 in Houston. The win over Houston Baptist was the first win in road games for the Privateers, who enter Monday night's game with a 1-3 record in road contests. New Orleans suffered a 79-62 loss at Nicholls on Nov. 19, a 54-44 setback at Savannah State on Nov. 22 and a 78-60 loss at Colorado State on Nov. 26. This marks the sixth meeting between Texas State and New Orleans. The Bobcats enter the game with a 1-1 series record against the Privateeers. The last time the two teams met was on Nov. 22, 2003 when UNO won a 77-64 decision to open the 2003-04 season for both teams. In that game, Bo McCalebb and Kyle Buggs each scored 17 points to lead New Orleans, while Anthony Dill scored 16 points and Roosevelt Brown added 15 points to lead Texas State. The Bobcats posted a 92-81 on Dec. 17, 2002 in San Marcos. Texas State is led by senior guards Brent Benson, who is averaging 19.1 points per game, and Brandon Bush who averages 13.3 points and leads the team in rebounding with a 6.4 average. John Rybak also averaged 10.1 points per game, while Cameron Johnson is chipping in with 9.9 points per contest after scoring a career-high 24 points at Texas. Junior college transfer Emmanuel Bidias A' Moute adds 6.9 points per game and sophomore center Ty Gough chips in with 5.4 points and 4.1 rebounds per contest. Ryan White also averages 5.4 points per game. The Texas State Bobcats gave sixth-ranked Texas all it could handle for 37 minutes, but came up short in the end as the Longhorns escaped with an 81-73 victory in the Frank Erwin Center last Saturday. The Bobcats held Texas to 36 percent shooting, outrebounded the Longhorns 46-42 and their reserves outscored Texas' 43-12. The Bobcats were led by sophomore forward Cameron Johnson's 24 points in Johnson's first start of the season. Brent Benson came off the bench to add 18 points, while Brandon Bush registered 13 points and nine rebounds to go along with his team-high two steals. Ryan White also added 10 points and career highs of eight rebounds and six assists for the Bobcats. A.J. Abrams scored 30 points, including 13 of Texas' final 16. Texas State had held Abrams without a field goal for the first 15 minutes of the second half before he hit a baseline jumper, registered a steal and nailed a three-pointer to spark a late run. Then, Texas put it away from the free throw line. Dexter Pittman scored a career-high 17 points and had 10 rebounds despite playing just 14 minutes because of foul trouble. WACO, TEXAS (December 13, 2008) Baylor’s Jason Smith was among 25 student-athletes named to the 2008 Football Writers Association of America All-America Team, announced Saturday on ABC. Smith is the 45th Baylor student-athlete to earn All-America honors and Baylor’s first since punter Daniel Sepulveda in 2006. A product of W.T. White High School in Dallas, Texas, Smith anchored a Baylor offensive line this year that produced 2,349 yards and 29 touchdowns rushing. The Bears ranked 25th nationally and third in the Big 12 with 195.8 rushing yards per game. Baylor’s rushing touchdown total was its best since 1994, the third-best season total in school history and one shy of the school record. Smith, a projected first-round pick in April’s National Football League Draft, is Baylor’s first non-special teams All-American since safety Adrian Robinson in 1995. He is Baylor’s first All-America offensive lineman since guard Frank Ditta in 1980 and Baylor’s first All-America offensive tackle since Mike Hughes in 1975. Smith also was named third-team All-America by Rivals.com. A 2008 unanimous first-team All-Big 12 Conference selection, Smith was one of seven Big 12 athletes on the FWAA team; he joined defensive lineman Brian Orakpo (Texas), quarterback Colt McCoy (Texas), running back Kendall Hunter (Oklahoma State), offensive guard Duke Robinson (Oklahoma), tight end Chase Coffman (Missouri) and wide receiver Michael Crabtree (Texas Tech). HOUSTON, TEXAS (December 12, 2008) – The Houston Dynamo have acquired Defender Julius James and allocation money from Toronto FC in exchange for Midfielder Dwayne De Rosario, it was announced today. James comes to the Dynamo after his rookie season in Toronto, where he saw action in 13 MLS games. James, 24, is highly regarded as a tough, physical back with size and speed. He is a Trinidad & Tobago native and member of its national team. He earned his first cap against Guyana on September 3, 2008. In his MLS debut, he scored in the 49th minute against the Los Angeles Galaxy. James was the ninth overall selection in the 2008 SuperDraft out of the University of Connecticut. At UConn, he earned First Team All-Northeast and First Team All-Big East honors. Additionally, he was named to the Big East All-Tournament Team and won Big East Defensive Player of the Year three years in a row. He was also a M.A.C. Herman Trophy semifinalist in 2007. “Julius is an aggressive, fast defender that fits really well in our style of play. I think he has a very bright future, not only in our club, but also in Major League Soccer,” added Kinnear. In his three seasons with the Dynamo, De Rosario scored 24 goals and distributed 11 assists, also netting two goals and four assists in 12 playoff games. Under new rules, MLS team can now have between 18 and 20 players on its senior roster. The Dynamo currently has 15 players under contract for 2009. The Dynamo will compete in a minimum of 39 games this season between MLS, CONCACAF Champions League and the Lamar Hunt U.S. Open Cup. The Houston Dynamo will open their 2009 MLS regular season at home on Saturday, March 21 against the 2008 MLS Cup champion Columbus Crew. Kickoff for this game is scheduled for 7:00 p.m. (TV: Fox Soccer Channel). For more information, please call the Houston Dynamo ticket line at 713-276-7500 or log on to www.houstondynamo.com. FORT WORTH, TEXAS (December 11, 2008) The TCU men’s tennis team has added two players who will join the squad for the 2009 spring season, Head Coach Dave Borelli announced Thursday. One player, Christopher Price, is a transfer from another major college program, while the other, Slah Mbarek, is a freshman who signed a National Letter of Intent with the Horned Frogs earlier this fall. The two players add to a solid class of newcomers already on campus that was signed last spring. Price, a 6-4 left-handed sophomore from Houston, transferred to TCU from Duke, where he played at the No. 1 doubles position as a freshman last season. He finished the year with a 17-16 overall record in doubles, including a 6-5 record in ACC matches, and paired with teammate Reid Carleton to form the nation’s No. 36-rated doubles tandem earlier this fall. Also a solid student, Price was an ACC honor roll student while at Duke. Prior to his time with the Blue Devils, Price was a five-star high school recruit from the Houston area who was rated as high as No. 26 on some college recruiting lists and No. 22 in the TennisRPI rankings. He finished third in the Texas state championships in 2003 after winning both regional and district championships. In addition to his success on the state scene, Price also logged considerable experience on the national level. He recorded a 27-17 overall record in national competition as a prep player. In addition to Price, TCU also will gain the abilities of Mbarek this spring. A 5-10 righthander from Tunis, Tunisia, Mbarek reached a combined world ITF junior singles ranking as high as No. 95, as well as being ranked as high as No. 1,377 in the men’s ATP singles rankings. Mbarek’s on-court accomplishments on the world junior scene include reaching the finals of the Stella Artois Junior Championships. He also has earned experience representing his own country on the international level by playing for Tunisia in the Davis Cup. TCU opens its spring season Jan. 24, when it travels south to Houston to take on former Southwest Conference rival Rice. HOUSTON, TEXAS (December 10, 2008) – The Houston Dynamo were drawn against Mexican power FC Atlante for the 2008-09 CONCACAF Champions League quarterfinals when the draw was held today at CONCACAF headquarters in New York City. The Dynamo will host FC Atlante in the first leg of the two-game, total-goals series on a date to be announced February 24-26. 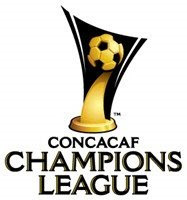 The second leg will be played in Cancún, Mexico March 3-5. The winner will advance to the regional semifinals. The tournament champion, to be crowned in late April, will advance to the 2009 FIFA Club World Cup, to be held in Abu Dhabi, the United Arab Emirates, in December. Houston qualified for the quarterfinals by placing second in Group B during group play in the first edition of the Champions League. The Dynamo reached the semifinals of the tournament’s predecessor, the Champions’ Cup, in both 2007 and 2008. Tickets for the Dynamo’s home leg of the quarterfinal series are currently available via Dynamo season ticket packages. The Dynamo have also qualified for the 2009-10 Champions League group stage, which will take place August 18-October 22. IRVING, TEXAS (Decwember 9, 2008) Houston’s Sasha Schwendenwein is the Conference USA Swimmer of the Week after helping the Cougars to a sixth-place finish at the Texas Invitational. The senior notched three top-five times in school history and also recorded two additional season-highs in the 100-yard backstroke (59.89) and the 50-yard freestyle (24:07). The Cougars’ Anastasia Pozdniakova is the Diver of the Week. Pozdniakova took first in both the one- and three-meter boards at the Texas Invitational. The junior has won both diving events at all six of the Cougars’ meets this season. Schwendenwein helped the Cougars to a sixth-place finish at the Texas Invitational. The senior finished sixth in the 200-yard butterfly with a time of 1:58.5 for the third fastest time in school history and also finished with a time of 1:49.47 in the 200-yard freestyle for the fifth fastest time in school history. The Randburg, South Africa native notched a season-high and fourth-best time in school history with her 27th-place time of 55.10 in the 100-yard butterfly. Schwendenwein also recorded season-highs in the 100-yard backstroke (59.89) and the 50-yard freestyle (24:07) and was a member of four of the Cougars’ relay teams that each finished in the top 15. The weekly award is the fifth of Schwendenwein’s career and third of the season. Pozdniakova took first-place honors in both the one- and three-meter boards at the Texas Invitational. The junior has won both diving events at all six of the Cougars’ meets this season. The Elektrostal, Russia native finished with 380.85 points in the three-meter event and 333.0 points in the one-meter. This is Pozdniakova’s fifth weekly honor this season and ninth of her career. The nine career honors moves her into sole possession for the second most all-time behind former Cougar Yulia Pakhalina who was awarded 10 times from 2001-03. BUENOS AIRES, ARGENTINA (December 8, 2008) The USA earned 18 medals, 10 in the senior division and eight in the age-group competition, at the 2008 Pan American Trampoline and Tumbling Championships in Buenos Aires, Argentina. The U.S. athletes claimed five gold, three silver and two bronze medals at the senior level, and five gold, two silver and one bronze in the age-group competition. Kalon Ludvigson of Sterling, Utah/Team Revolution, won gold medals in senior men’s tumbling and double mini-trampoline. He placed first in tumbling with a score of 76.00 and set a new world record for degree of difficulty with a 14.60. Austin White finished fifth with a 63.10. Ludvigson won double mini with a score of 74.30. Leanne Seitzinger of Stafford, Va./Novak's Gymnastics, earned the gold medal in senior women’s tumbling with a 64.20 and Amy McDonald of Richardson, Texas/Eagle's Wings Athletics, finished fourth. In senior synchronized trampoline, Logan Dooley of Lake Forest, Calif./World Elite Gymnastics, and Steven Gluckstein of Atlantic Highlands, N.J./Ultra Twisters, placed first for the men with a score of 48.10. Alaina Hebert of Broussard, La./World Elite Gymnastics and Alaina Williams of Amarillo, Texas/The Matrix Trampoline Team, finished third for the women with a score of 41.30. In the senior team competition, Hebert, Williams and Nani Vercruyssen of Honolulu, Hawaii/Hawaii Academy, won the women’s trampoline gold medal. The men’s team of Dooley, Gluckstein and Michael Devine of Winnebago, Ill./J & J Tumbling and Trampoline, finished fourth. The USA claimed two medals in senior men’s trampoline. Devine earned a score of 38.50 and Dooley posted a 38.30, to finish second and third, respectively. Canada’s Jason Burnett won the gold medal with a 39.60. For the women, Vercruyssen won the silver medal with a 35.20 and Hebert finished eighth. Canada’s Rosannagh MacLennan placed first with a 37.00. Aubree Balkan of Carlsbad, Calif./GTC Academy, won the silver medal in senior women’s double mini with a score of 68.60, and Sarah Prosen finished fourth with a 66.10, just one tenth of a point out of third place. Canada’s Julie Warnock won the gold medal with a 69.90. Winning medals in the age-group competition were: Jake Jacobson of Rocklin, Calif./American Powerhouse T&T, two silver in 11-12 year-old men’s trampoline and double mini; Dakota Earnest of Plains, Texas/Acrospirits, gold in 15-16 year-old women’s trampoline; Jeffrey Gluckstein of Atlantic Highlands, N.J./Ultra Twisters, gold in 15-16 year-old men’s trampoline; Conor Murphy of Lake Forest, Calif./Team OC, gold in 15-16 year-old men’s tumbling and bronze in double mini; and Lisa Van Orden of Pingree, Idaho/Team Revolution, two gold in 15-16 year-old women’s double mini and tumbling. ATLANTA, TEXAS (December 7, 2008) Mary DeScenza (Naperville, Ill.) set two Championship records Saturday on the final night of competition at the 2008 ConocoPhillips USA Swimming Short Course Nationals Championships. DeScenza won both the 200y back and 200y fly to claim a total of five short course national titles, the most of any swimmer competing in the meet. DeScenza and 2008 Olympic gold medalist Ryan Lochte (Daytona Beach, Fla.) took home top honors at the meet, winning the women’s and men’s high point award, respectively. The 2008 ConocoPhillips USA Swimming Short Course Nationals Performance award went to Dagny Knutson, who set an American record Friday night in the women’s 400y IM. DeScenza’s first win of the night came in the women’s 200y back when she swam a Championship-record time of 1:51:58. Julianne McLane (Concord, Calif.) was second in 1:53.52 and Teresa Crippen (Conshohocken, Pa.) was third in 1:55.55. DeScenza’s second win of the evening and fifth win of the meet was in the 200y fly. DeScenza won the event in 1:52.48, a new Championship record. Ava Ohlgren (Northville, Mich.) was second in 1:56.01 and Yumi So (Pasadena, Calif.) finished third with a time of 1:56.63. Two-time Olympian Lochte placed first in the men’s 200y back with a time of 1:38.49. Lochte, who already owned the American record in the event, earned his fourth gold medal of the meet with the victory. Tyler Clary (Riverside, Calif.), who was fourth after the first 100 yards, had a strong second half to take the second-place spot in 1:40.85. Great Britain’s Andrew Hogson finished third in 1:41.99. In the men’s 100y free, William Copeland (Lexington, Va.) took an early lead at after the first 50 yards and managed to hold off the field for the win in 41.75, a new Championship record. Olympic gold medalist Matt Grevers (Lake Forest, Ill.) placed second in 41.85 and Australia’s Matt Targett was third in 41.93. Georgia native and 2004 Olympian Amanda Weir (Lawrenceville, Ga.) claimed the top spot in the women’s 100y free with a time of 47.15. She was followed by Dagny Knutson (Minot, N.D.), who placed second with a time of 47.80. Tanica Jamison (Dublin, Calif.) was third in 49.03. Ariana Kukors (Auburn, Wash.) took home her first win of the meet with a strong swim in the women’s 200y breast. Kukors took the lead in the second 50, and held on to it throughout the race to finish in 2:08.33. Christine Olson (Phoenix, Ariz.) placed second in 2:10.02 and Ashley Danner (Springfield, Va.) was third in 2:10.06. Mike Alexandrov (Evanston, Ill.) placed first in the men’s 200y breast. Alexandrov, who won the men’s 100y breast Friday night, set a Championship record with his time of 1:51.96. Eric Shanteau (Lilburn, Ga.), a 2008 Olympian, was second in 1:52.27 and Bart Steninger (Elko, Nev.) rounded out the top three with a time of 1:55.38. In other races Saturday night, Matt Patton (Charlotte, N.C.) took the top spot in the men’s 1650y free with a time of 14:50.34. Randall Mark (Tuscaloosa, Ala.) was second in 15:00.83 and Jason Taylor (Plant City, Fla.) was third in 15:07.05. In the women’s 1650y free, Laurabeth Guenthner (Wellington, Fla.) was first in 16:07.80, Amanda Smith (Cincinnati, Ohio) was second in 16:11.33 and Maggie Bird (Muncie, Ind.) was third in 16:13.63. In the final event of the night, the men’s 200y fly, Japan’s Hidemasa Sano finished first in 1:41.07 to set a Championship record. Ian Powell (Tallahassee, Fla.) claimed the second-place spot in 1:44.29 and Dan Madwed was third (Towson, Md.) in 1:44.59. HOUSTON, TEXAS (December 7, 2008) Western Michigan University has accepted an invitation to play Rice University in the third annual Texas Bowl on Tuesday, Dec. 30, in Reliant Stadium, bowl manager Heather Houston announced Sunday evening. The Broncos will bring a 9-3 record into the game, their fourth bowl game ever and the second under head coach Bill Cubit. Western Michigan finished second behind Ball State in the Mid-American Conference's tough Western Division. WMU is led by quarterback Tim Hiller, who ranks 14th nationally with 294.1 total offense yards per game. Receiver Jamarko Simmons is third nationally with 8.17 receptions per game and Brandon West is sixth nationally with 167.6 all-purpose yards per game. Twelve Broncos earned all-MAC honors this season, three as members of the first team. Rice University, which tied for the championship of Conference USA’s Western Division, was announced as a bowl participant last week. The Owls, under coach David Bailiff, will also bring a 9-3 record into the game. The 2008 Texas Bowl will be televised live nationally on NFL Network. The game will also be broadcast nationally by Westwood One radio and locally on KTRH 740 AM. TCU defeated the University of Houston 20-13 on in the 2007 Texas Bowl before a crowd of 62,097. The audience was the third-largest crowd ever to see a college bowl game in Houston. The 2007 Texas Bowl attracted the eighth-largest crowd among non-BCS bowls last year. The Texas Bowl outdrew matchups such as Tennessee vs. Wisconsin in the Outback Bowl, Texas Tech vs. Virginia in the Gator Bowl and Alabama vs. Colorado in the PetroSun Independence Bowl. The inaugural Texas Bowl was played on Thursday, December 28, 2006 at Reliant Stadium. Rutgers defeated Kansas State 37-10 before a crowd of 52,210, the largest crowd to witness a bowl game in Houston not involving a Texas team since 1972. Tickets went on sale to the general public on Nov. 8 following an exclusive pre-sale window for those who bought tickets to the 2007 Texas Bowl. Tickets, which start at just $15, may be purchased online at TicketMaster.com, on the phone at 832-667-2390 or in person at the Reliant Stadium box office inside Budweiser Plaza. Game tickets will also grant fans admittance to TexFest, a Texas-sized pregame party featuring a number of well-known local and national Texas music artists as well as “team spirit walks” when the teams arrive. HOUSTON, TEXAS (December 6, 2008) Cory Pflieger poured in a career-high 28 points while Rodney Foster contributed 21 as Rice defeated Texas State 100-94 Saturday in Tudor Fieldhouse. Rice scored 100 points for just the 15th time in school history and snapped a three-game losing streak to improve to 3-5. Texas State fell to 3-4. Pflieger and Texas State?s John Rybak both got hot from outside. Pflieger was 5-for-10 from behind the three-point arc. Rybak, a transfer from Marquette playing his first season for the Bobcats, finished with a career-high 32 points, knocking down 7-of-12 three-pointers. Both teams finished with 13 treys. The Owls shooting 52 percent from three-point range (13-of-25). The 13 treys tied for the third most in Rice history. Rybak began the game by drilling four straight three-point baskets and had established a new scoring high by halftime with 20 points. Rice led by as many as 13 points in the first half but Rybak would hit a three-pointer and make four free throws in the final two minutes of play as Texas State cut a 48-35 lead to six points, 50-44 at intermission. Texas State would continue to narrow the gap in the opening minutes of the second period and would eventually take a 59-58 lead on a Rybak trey with 14:55 to play. The lead was the Bobcats? only advantage of the second half as Pflieger answered with a three-pointer and on the Owls? next possession capped a fastbreak with a layup off an outlet pass from Bryan Beasley. Rice would again stretch the lead to double figures and answer a late Texas State run with solid free throw shooting. The Owls made eight straight from the line inside the final 1:06 and for the game shot 88 percent (29-of-33). In addition to scoring 28 points, Pflieger had five rebounds, three assists and three steals. It was the second straight game Pflieger established a career scoring high. He had 21 points in the Owls? game against UTSA on Thursday. Beasley and Lawrence Ghoram each finished with 13 points for the Owls. Brent Benson added 17 points and five assists for Texas State while Brandon Bush, a teammate of Foster's at Katy's Mayde Creek High School chipped in 16. Rice breaks for finals and is back in action Dec. 17 when it plays host to Harvard. Texas State is at Texas on Dec. 13. DALLAS, TEXAS (December 5, 2008) Seven Baylor student-athletes were honored by The Associated Press, the news organization’s 20-member media panel announced Thursday. Junior safety Jordan Lake, junior linebacker Joe Pawelek and senior offensive tackle Jason Smith earned first-team honors, while junior offensive guard James Barnard, sophomore punter Derek Epperson and junior center J.D. Walton were named honorable mention. The AP also named quarterback Robert Griffin the league’s Offensive Newcomer of the Year. Oklahoma led all teams with six first-team selections, followed by Missouri and Texas Tech with five each. Baylor, Nebraska and Oklahoma State each had three first-team picks; Nebraska had two, while Texas and Texas A&M had one each. Lake and Pawelek were second-team AP All-Big 12 selections last year, while Smith was an honorable mention pick. Epperson and Walton were honored for the first time. Pawelek also was an AP honorable mention selection in 2006 when he was named AP Big 12 Defensive Newcomer of the Year. With Barnard and Walton earning AP honorable mention nods, four of Baylor’s five starting offensive linemen have earned all-conference honors from at least one outlet this season. IRVING, TEXAS (December 4, 2008) Mustangs Mitch Enright and Pete Fleps have been named to the 2008 Conference USA Football All-Academic Team, the league office announced today. member team, while Marshall, Southern Miss, Tulane and UTEP each had one. 2007 and was a two-year starter and member of the Rimington Trophy Watch List. member of the Commissioner's Honor Roll. HOUSTON, TEXAS (December 3, 2008) Rice University accepted a bid to play in the 2008 Texas Bowl, the Texas Bowl Committee announced today. Texas Bowl officials offered the Owls a bid to play in the game today and the team accepted on the spot. The Owls have a 9-3 record this season, including a 7-1 mark in Conference USA action. This is Rice’s second bowl appearance in the last three seasons. Rice’s nine wins are the school’s most since 1953 and the most in regular-season play since 1949. Rice head coach David Bailiff is in his second season at the helm and has posted a 12-12 record. The Texas Bowl will be Bailiff’s first bowl game as a head coach and the fourth of his coaching career. He coached in the 2001 Galleryfurniture.com Bowl, 2002 Liberty Bowl and 2003 Fort Worth Bowl as an assistant at TCU, and he led Texas State to the semifinals of the Division 1-AA playoffs in 2005 as the Bobcats head coach. The Owls feature one of the nation’s top offensive attacks. They rank fifth in the nation in passing (327.8 yards per game), eighth in scoring (41.6) and 10th in total offense (472.3). Quarterback Chase Clement is second among active passers with 96 career touchdown passes and he has teamed with wide receiver Jarett Dillard to set an NCAA career record for most touchdown passes by a duo (50). Dillard is the NCAA’s career leader with 59 touchdown receptions and is the Conference USA career record holder in receiving yards (4,052). Tight end James Casey is second in the nation with a conference record 104 receptions. HOUSTON, TEXAS (December 3, 2008) Rice University is offering a special ticket package for its final three home games of 2008. The specially-priced Holiday Three-Pack will give basketball fans an opportunity to see the Owls take on a pair of Big 12 members Oklahoma and Texas A&M as well as Ivy League-member Harvard. The three-game endcourt package is $30 plus applicable handling fees. For more information, contact the Rice athletic ticket office at (713) 522-OWLS (6957) or visit the Rice ticket office website at www.riceowls.com. The three dates for the Holiday Three-Pack are Dec. 17 for the Harvard game, Dec. 22 for Oklahoma and Dec. 31 for Texas A&M. With 13 returning lettermen including four starters, Harvard has got off to a quick, 3-1 start to the 2008-09 season. Former Seton Hall and Michigan coach Tommy Amaker is in his second season coaching the Crimson. Oklahoma returns Blake Griffin who was an All-Big 12 First-Team selection last season as a freshman. He was named the Phillips 66 Big 12 Men’s Basketball Player of the Week each of the first three weeks of the season. Texas A&M advanced to the second round of the NCAA Tournament in 2008 and returns 14 lettermen off last year’s squad including senior guard Josh Carter who was an NABC All-District First-Team selection last season. Rice is also in action this week playing host to UTSA on Thursday and Texas State on Saturday.